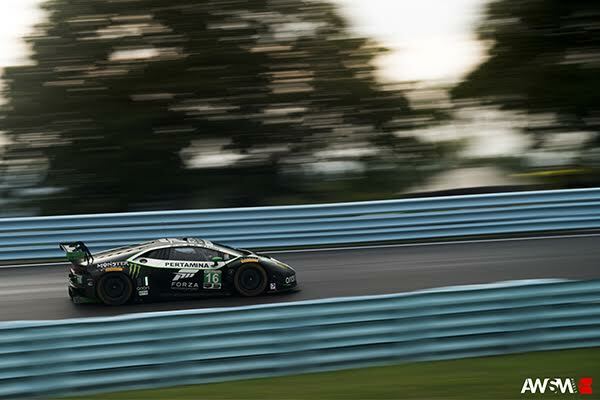 Watkins Glen, N.Y. (1 July 2017) – It has been a busy weekend at Watkins Glen for Change Racing, with practice and qualifying for the IMSA WeatherTech SportsCar Championship team as well as practice, qualifying and two races for the Lamborghini Super Trofeo squad. The team will start seventh in Sunday’s Sahlen’s Six Hours of the Glen for Round 6 of the 2017 IMSA WeatherTech SportsCar Championship with the No. 16 XBOX / Monster Energy / Orion Lighting Lamborghini Huracán GT3. 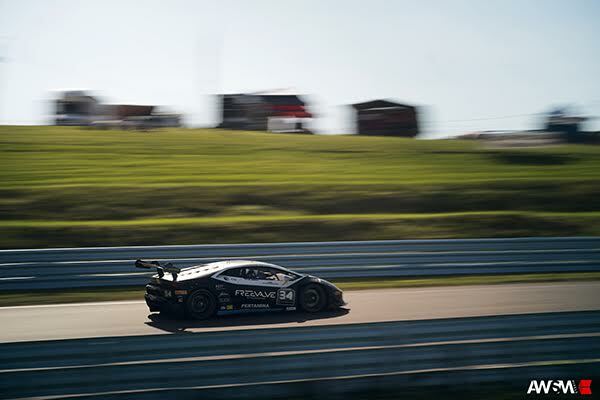 Change Racing’s two-car Super Trofeo effort hit the track early in the weekend, with two practices Thursday, qualifying and Race 1 on Friday and Race 2 on Saturday evening. Lamborghini veteran Richard Antinucci came into the weekend on a roll, sweeping both victories last month in the season opener in his No. 16 Lamborghini Huracán Super Trofeo. Series rookie D. Bryce Miller continued to make gains in the No. 34 Huracán, qualifying fourth in the Pro-Am class for Race 1 and third for Race 2. The first race of the weekend marked the first time the series had raced on the legendary 3.4 mile, 11-turn road course since the track was repaved in late 2015. Antinucci earned his third straight class pole and second straight overall pole, and stayed out in front, driving a perfectly paced race for a third victory. 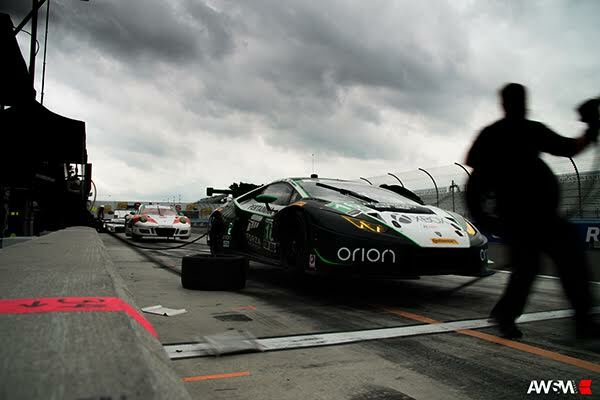 Miller started fourth in the Pro-Am and gained spots in the mandatory 98-second pit stop, driving a steady race in only his third Super Trofeo event. Miller finished second in class and fifth overall for a special podium finish, four years after his last professional race. Meanwhile, the team’s IMSA WeatherTech SportsCar Championship squad saw their quick lap in qualifying thwarted by an untimely red flag as the team looked to continue their run of strong qualifying results. Monster Energy Athlete Corey Lewis, Dutchman Jeroen Mul and New York native Brett Sandberg worked on setup for the No. 16 XBOX / Monster Energy / Orion Lighting Lamborghini Huracán GT3 through two practices Friday, setting times near the front of the field. Following a wet practice Saturday morning that garnered little in the way of useable information, Lewis set out for the 15-minute qualifying session, steadily improving his times and setting up a gap in traffic for two flyer laps. Unfortunately, the red flag came out with three minutes remaining, nullifying what could have been his quick lap and ending qualifying early. The team will start seventh with a quick lap at 1:47.774-seconds. Benton and Lewis were understandably disappointed with the result, but cognizant of the fact that anything can happen in a six-hour race – and usually does. Saturday closed with the second round of Super Trofeo action on the weekend, with Bryce Miller scoring third in the ProAm ranks, while Antinucci suffered some bad racing luck when a hub broke as the championship leader suffered his first dose of bad racing luck so far this season. Miller fought through some issues to score his second podium of the weekend. Watch the Sahlen’s Six Hours of the Glen on Sunday, July 2nd starting at 10:00 AM ET on FS1, with continued coverage from 1:00 – 4:30 PM ET on FS2. The race can be seen internationally on IMSA.com with coverage from IMSA Radio. 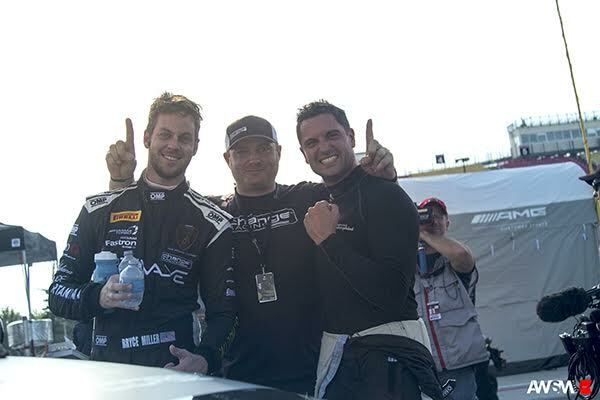 After earning Team and Driver Championships in 2013, 2014, and 2015, the team grew in 2016 to also campaign in the IMSA WeatherTech Championship with the Lamborghini Huracàn GT3 in GT Daytona (“GTD”) Class competition. The team enters 2017 with a promising young driver line up with Corey Lewis and Jerome Mul sharing the driving duties on the No. 16 Monster Energy / XBOX / Forza / Windows 10/ Pertamina Lamborghini Huracàn GT3. Change Racing will also make its 5th consecutive Lamborghini Blancpain Super Trofeo campaign as the team looks to extend its record of achievement in the category.